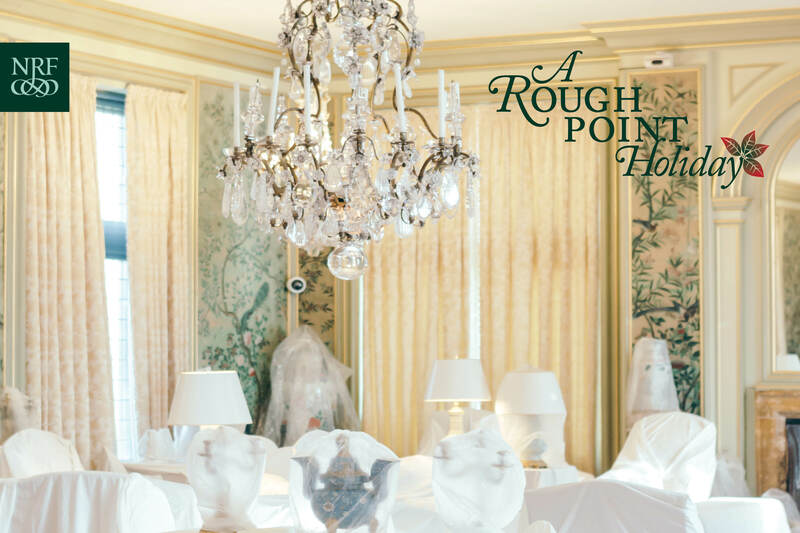 Newport, RI — After more than a decade run, NRF will be changing up their annual holiday program once known as “Undecked Halls”, to a new experience titled, “A Rough Point Holiday”. The refreshed program will be taking place on December 1, 8, 15, and 27 from 10:00 am – 4:00 pm at Rough Point Museum, with both self-guided and guided experiences being offered for the price of $10 for adults, and free admission for children 12 and under. Every season at Rough Point offers a certain kind of magic. Visitors will see Doris Duke’s Newport home during the darkest and merriest days of the year. Rooms of the museum will be spruced up for the Christmas holiday, while others will be cloaked in their winter coverings. Together, these spaces tell the story of Doris’ holiday traditions and the off-season routines of one of Newport’s summer cottages. The program will continue to provide an untraditional take on a holiday mansion tour, and visitors can expect to see Rough Point from a different perspective. Doris Duke spent an extended “season” at Rough Point (from roughly April to November), but she often spent the Christmas holiday elsewhere. Visitors will go behind the scenes to see how Doris and the household staff celebrated the holidays, and learn about past winter caretaking rituals and current practices of conservation at Rough Point Museum. The first floor will be open for roaming at your leisure with guided tours offered at 10:30, 11:30, 12:30, 1:30, 2:30, and 3:30. Tours are included with admission. Tickets for admission available at the door; no advance reservation necessary. 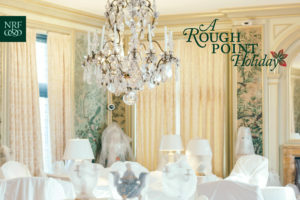 Rough Point Museum is located at 680 Bellevue Avenue, Newport, RI. Please visit newportrestoration.org/events for more information.